Saturday morning, Jason and I woke up bright and early at 0 dark thirty at 0300 to ride a bus 5 hours to Iwaparra to go skiing/snowboarding with some friends. This photo of us and some of our friends was taken about 2 minutes before I sat down in that exact spot and cried because I was so scared! 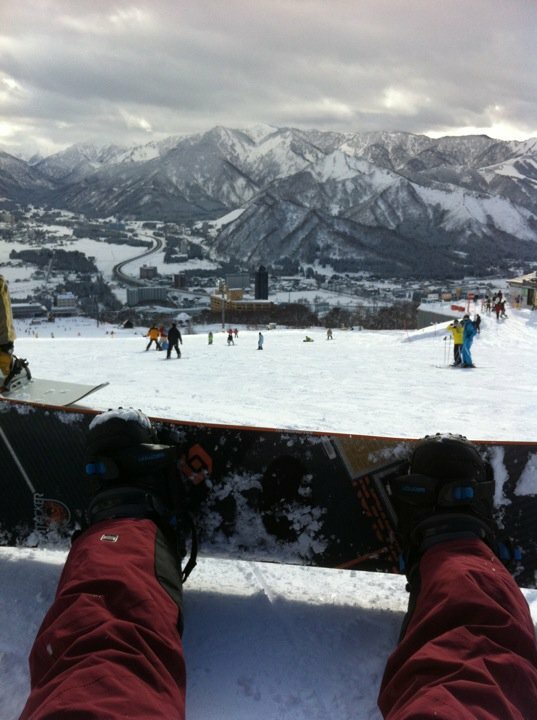 Like I said, I've snowboarded numerous times and I've never experienced this intense irrational fear before. I have no idea what came over me but I was TERRIFIED! 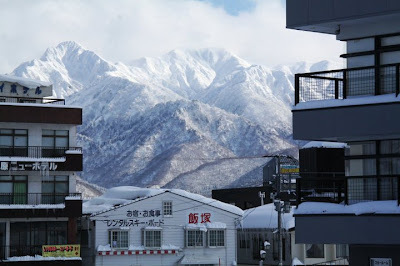 I wanted to get back on the ski lift and ride it down but I had no idea how to explain this to the Japanese workers so I had to get down on my own somehow. It took me almost an hour and a half and LOTS of tears, but I made it. 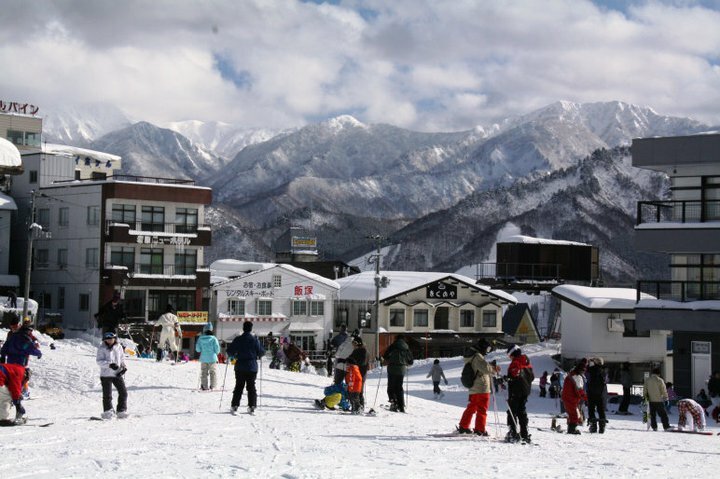 I was in so much pain from trying make a damn "slice of pizza" that I immediately ripped those stupid skis off and went and forked over an extra 3500 yen for boots and a snowboard! The rest of the day was SO MUCH FUN! 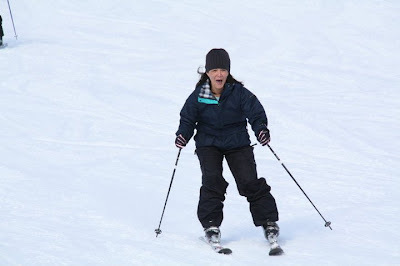 Now I can say I've tried skiing and I will NEVER do it again. This girl is officially a snowboarder for LIFE! 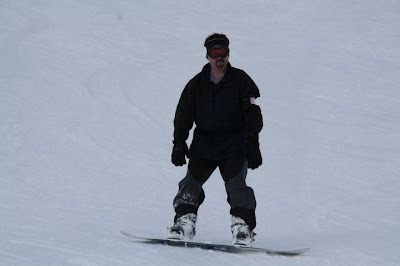 The husband on the other hand, yeah, he picked it up as easily as I picked up snowboarding the 1st time I tried it. He was FLYING down the mountain in NO time! It was definitely a day I will never forget! I've never snowboarded and only skied once. It was in Germany (gorgeous), but I will never do it again. Scared the crap out of me. The pics are pretty though! Complete opposite weather of here. I haven't ever tried either -- One day...maybe haha =) those view are GORGEOUS! I'm totally the opposite of you! 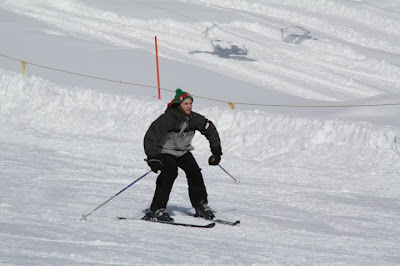 I've never snowboarded, but I've basically been skiing all my life. I don't know if I would have even been able to make it down the mountain if you put me on a snowboard! 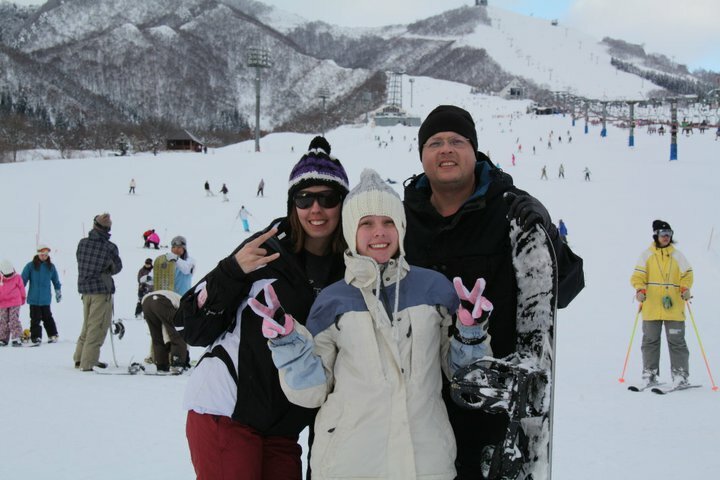 It looks like you guys had an awesome time and I'm totally jealous! Wow, those views are amazing! I don't know why, but skiing always sounded easier to me than snow boarding. 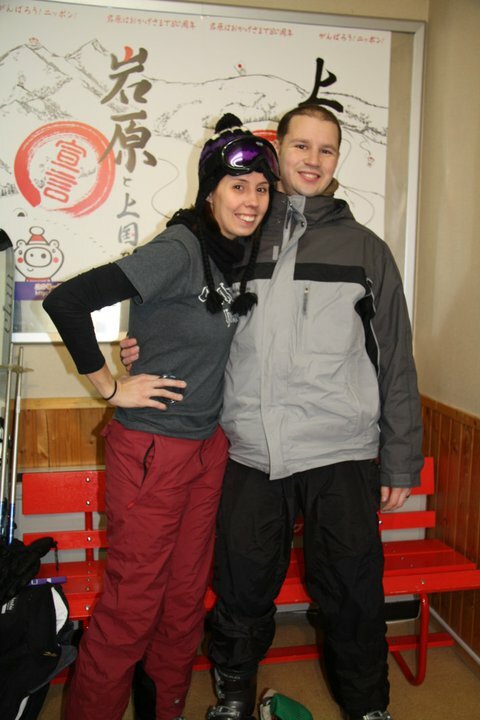 Guess I'll try snowboarding one day when the time comes! 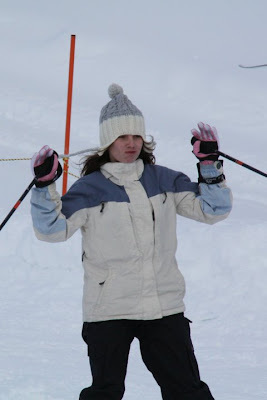 I love skiing! The views were so beautiful! Beautiful pictures! I grew up skiing on winter vacations so when we moved to Alaska, I thought I'd ski all the time. When I got there, the same "intense, irrational fear" you spoke of enveloped me, too and I could not get down the mountain. I find the older I get, the more of a scaredy cat I become. It was so frustrating and it took me about an hour and a half also- kept falling! I think skiing classes are in order for me next time. 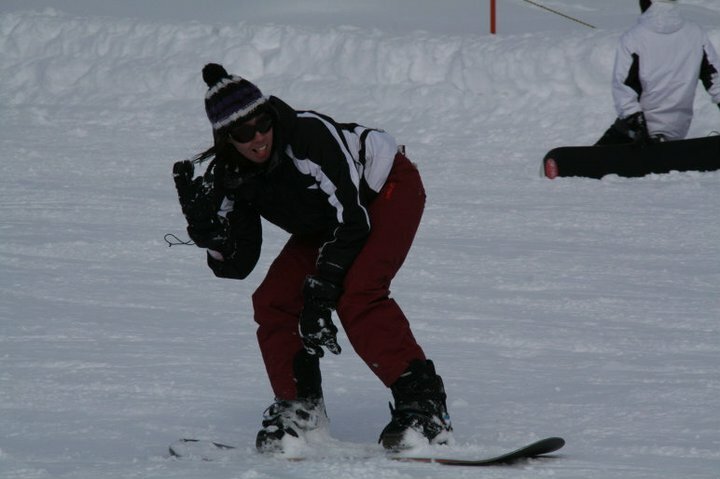 Or maybe I should try snowboarding! That seems pretty difficult, too though. Glad your day got better! beautiful pics! 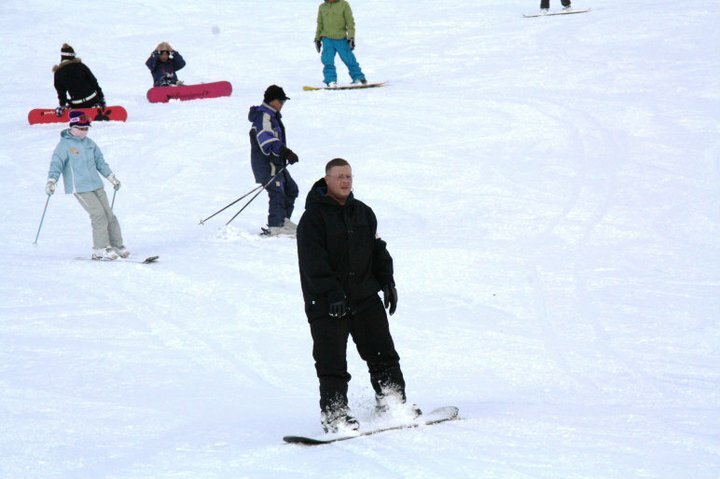 that's funny...I've skied, but never snowboarded and i'm terrified to try it!